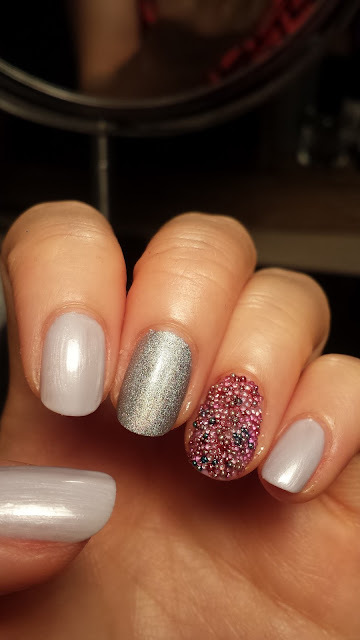 This was my first time trying caviar nailart after a miserable failure I attempted a long while ago. 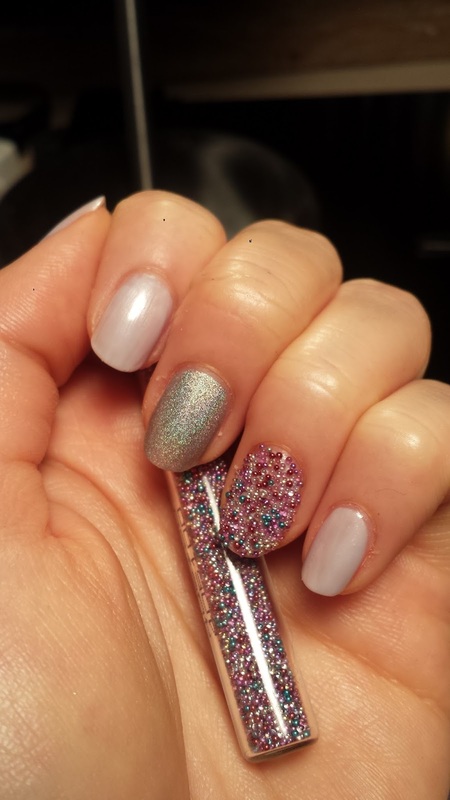 On my first attempt, the beads fell off almost completely after 2 hours of wear - it was mostly due to user error that I did not use a top coat to seal the beads. Haha. For the base, I used a combination of a lilac and a silver color to achieve a pale soft tone. 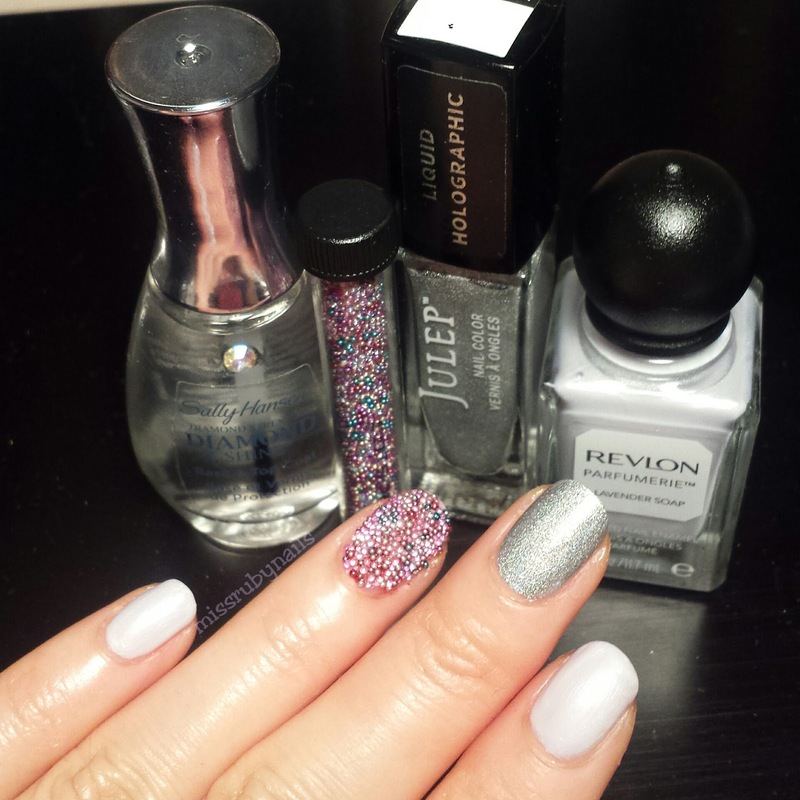 The lilac polish was Revlon - Parfumerie in Lavender Soap. This polish applies a little streaky but with it is good to go with 2 coats. The scent of soap really lingers for a couple of days, surprisingly! 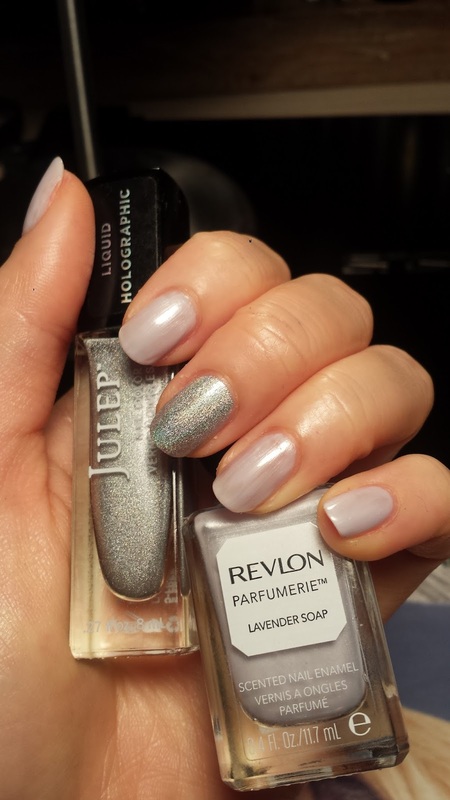 I used a Julep holographic silver polish on the middle finger. 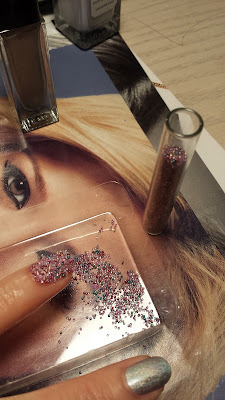 For the caviar accent nail, I first applied a clear coat of polish and then I just sprinkled the beads onto the wet nail. Just make sure there's a container under to catch all the excess. I had to do a little pushing and adjusting to make sure the entire nail was covered. This time I made sure I put a couple layers of top coat to seal off the caviar beads so they can wear a little longer. But any 3D nailart accessories you put onto the nail would want to come off earlier than you wanting to change your manicure! However, I found out that some color on the beads came off while I applied the top coat. Click HERE for more tips and tricks! July 1st & 4th Holiday Nails!